The New Season Mummie Plants Collection is here. The first addition to our Summer 2014 range, an architect and interior designer’s favourite: The Skyline Spear Plant. Skyline Spear is the natural world’s version of Dublin’s Spire, making it a perfect statement plant. A member of the Asparagus family, it echoes the vegetable’s elegant cylindrical structure and exudes the same class. Native to Angola, the Skyline Spear Plant (Sansevieria Cylindrica) is a succulent meaning it is cactus-like with thick, fleshy leaves adapted to thriving in dry conditions. (However, whereas cacti can have prickly personalities, The Skyline Spear is completely smooth to touch.) Skyline’s individual tubular leaves start circular then thrust upwards in 30 to 70cm-long spears, tapering into pointed tips. The plant’s strong arrowing vertical lines and fan-shape gives it real energy and stand-out appeal. It is an office feature that inspires perceptions of “strength”, “modernity”, “boundary-pushing”. Here at Mummie Plants we’ve long been admirers of this striking species but it stubbornly resisted our attempts to create a preserved version. 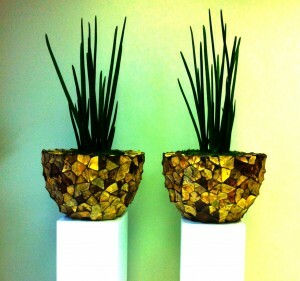 So we turned to our maker of artificial plants… and now have a fantastically lifelike Skyline Spear Plant to offer you. With all the aesthetic and emotional impact of the real thing but none of the care issues or maintenance costs. Up-Style Your Workplace Today: Call Norma on 01 296 4540.